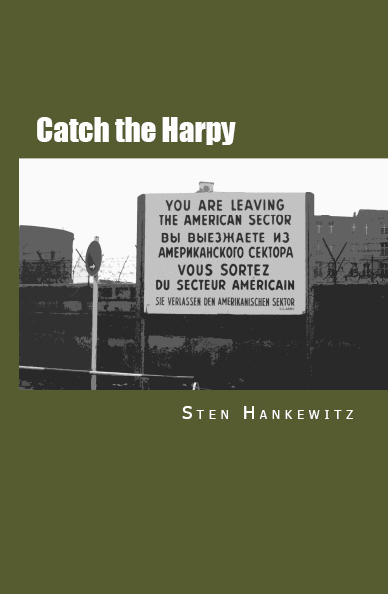 Sten Hankewitz’s debut novel, “Catch the Harpy,” is a spy thriller, taking place in the 1970ies in the heart of the Cold War—Berlin, the divided capital of Germany— where, more often than not, the heat is turned to the max and the spies of both the free and the oppressed worlds try their best to destroy each other. Amid all this, the U.S. Army Intelligence officer, James Hart, finds himself caught in a fierce espionage battle against a cunning enemy. To solve the crisis, he has to expose the assassin that has infiltrated the Western ranks. This, however, proves to be a task most demanding. In “Catch the Harpy,” you’ll find everything you’d expect from a thriller—spies, war, romance, and betrayal. It looks into the fight between good and evil that had taken over Europe and many other parts of the world in the 20th century, and to a certain extent, is even relevant today. The novel also examines the history of the events and the backgrounds of the protagonists and antagonists, trying to explain what made them become the characters they are described as. And, even though “Catch the Harpy” is fiction, some of the events in the book are factual that hopefully help the readers understand the 20th century a little better. The book is available in English, as both paperback and ebook, on Amazon.com and on local Amazon websites in Europe, Japan, Australia and elsewhere.